Green Point Garden Design is a garden design business based in Bristol run by qualified horticulturalist & garden designer Wojciech Perz (eng. 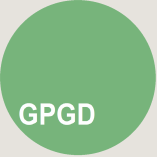 Voycheck Persh) MSc, Dip GDS, Pre-Registered Member of the Society of Garden Designers, which offers professional services to private and commercial clients both in the UK and overseas. designs supported by detailed drawings. Please look at the rest of my website. I hope it will convince you that we should be working together. "Well designed and well maintained 'a garden can add as much as 17% to the value of a property."